George’s journey into Eastern knowledge began in his high school, where his study of martial arts helped him to overcome an exercise-induced form of asthma. His journey continued at Virginia Tech, where he earned his Bachelor of Science in Chemistry and began learning about yin/yang and the five elements through the Chinese martial art of Hsing-I Chuan. Shortly thereafter, a lecture by a visiting 5 Element acupuncturist ignited George’s curiosity about traditional Chinese healing arts. 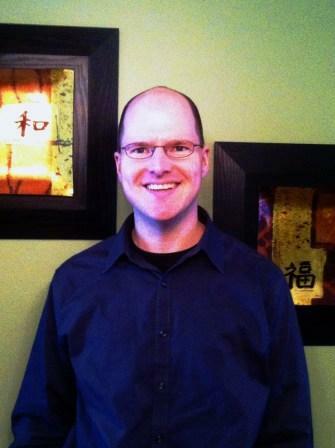 After graduating college, he attended the Traditional Acupuncture Institute in Columbia, Maryland and earned a Masters in Acupuncture in September 1999 and became a Licensed Acupuncturist in the State of Maryland shortly thereafter. George’s love of animals led him to become a Certified Animal Acupuncturist in the State of Maryland in June 2002. George currently practices out of the Howard County Holistic Center in Columbia, Maryland for his traditional acupuncture practice and out of the Canine Fitness Center in Crownsville, Maryland for his animal acupuncture practice. George is passionate about helping people and animals with acupuncture for pain management since a vast number suffer from pain daily, both acute and chronic. George continues his lifelong study of martial arts, learning Baguazhang (Pa Kua Chang) from SHIFU Greg Hatza at the Chinese Boxing Academy in Catonsville, MD.